CEMEX USA has received ENERGY STAR Certification for four cement plants, including the Clinchfield plant, which was certified for an 11th consecutive year – the longest period of certification by a US cement plant. 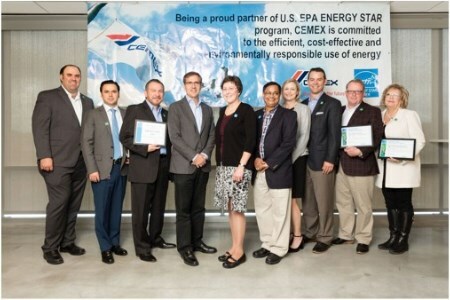 CEMEX USA accepts EPA ENERGY STAR certificates for energy efficiency at the company’s Houston headquarters. “Sustainability is embedded into our strategy,” said Ignacio Madridejos, CEMEX USA President, who accepted the certification for the four plants from a representative of the US Environmental Protection Agency (EPA) on 4 December 2017. The EPA’s ENERGY STAR certification is earned by ranking in the top 25% for energy efficiency when compared to similar US facilities. In addition to Clinchfield, the Brooksville South, Miami, and Victorville plants were also certified.